Did you know that there are more than 10 different tenses in the Spanish language? But don’t let that number overwhelm you! I’ll let you in on a little secret: You don’t need to know all of them to effectively communicate in Spanish! But if you go to a Spanish class, you’ll find that most are focused on drilling grammar into your head. And how well can you really speak after endless hours of memorizing different grammar rules? Let me tell you a short story to drive this point home. When I arrived in Buenos Aires two years ago, I had firmly decided I wanted to be fluent as fast as possible in the Spanish language. So I printed out several Spanish grammar sheets that I planned to learn by heart. Looking back now, I know almost all of these grammar rules. But guess what? I never sat down to learn them from that sheet! Why not? Well, at first I started to recite them every night for a couple of minutes. 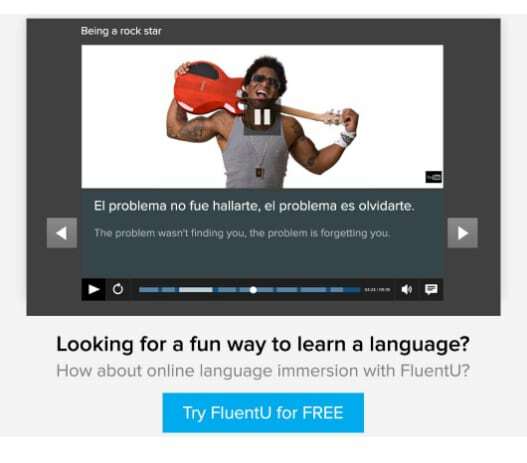 But I soon got (super) bored of this, as I was spending more time studying Spanish than actually using it. 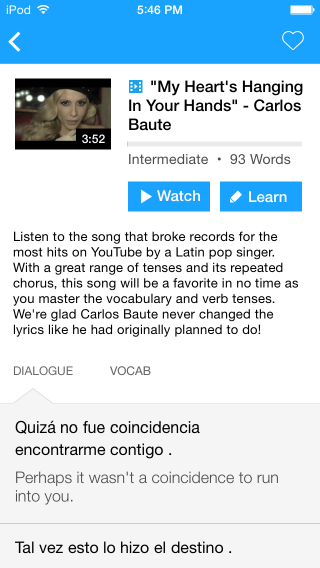 So how do you learn Spanish grammar by using it instead of studying it? I would like to share with you a couple of techniques that I, and others, have successfully used to learn Spanish grammar the unconventional way. These three tenses—the present, subjunctive and preterite—are the most useful in Spanish. Everybody uses them hundreds of times every day, so if you have to learn some grammar (and indeed you do have to learn at least the basics), start here! Now, remember I told you before that I had all the grammar rules printed out, but that I never ended up following through on learning them? There are a couple of tips I can give you to learn those three tenses by yourself without having to spend interminable hours reciting them, because who seriously likes to do that? Here is what you do: Write down 10 phrases in English in the present tense. Then, take out your Spanish grammar book, dictionary app, or whatever you need, and translate the 10 sentences into Spanish out loud. Do it two or three times for each phrase, and then do the same by writing these Spanish sentences down on a piece of paper. Once you feel you’ve got the hang of it, translate the same sentences into the preterite tense. Follow the same process: Speak the phrases out loud a couple of times, and then write them down. Next, write down the 10 sentences in the present tense again, just to refresh your mind. Finally, write down those phrases again in the preterite. Now, to practice the subjunctive here is what you do. Take the 10 verbs you used in your English sentences and write them down in Spanish in the infinitive form. Then conjugate each of those verbs in Spanish in the present tense and conjugate them in the subjunctive form right after. This little exercise will show you how the formation of the Spanish subjunctive is linked to the present tense. You simply use the opposite ending for each, either -AR or -ER/IR verb endings. For example, if you want to conjugate the verb comer (to eat) which is an -ER verb, the subjunctive form will correspond to the -AR verbs. If you want to conjugate the verb desear (to desire) which is an -AR verb, the subjunctive form will correspond to -ER/-IR verbs. Believe it or not, it’s pretty straight forward when you get it and this exercise will help you do just that! This whole process should not take you more than thirty minutes to one hour. The point is to engage your mind in the learning process via writing and speaking out loud without having to repeat conjugations out loud like you’re reciting them in school. Next time you sit down to do this exercise, write down 10 simple new phrases and start the process again. 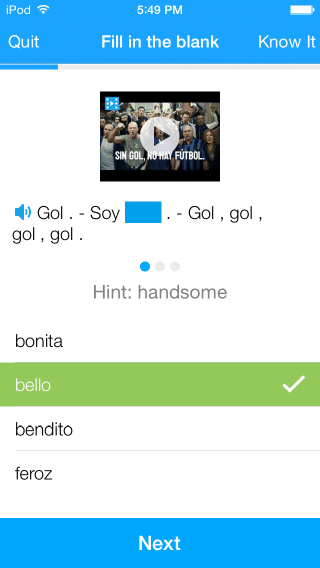 Do this for about a week and you should already have a strong grasp of these three main Spanish tenses. 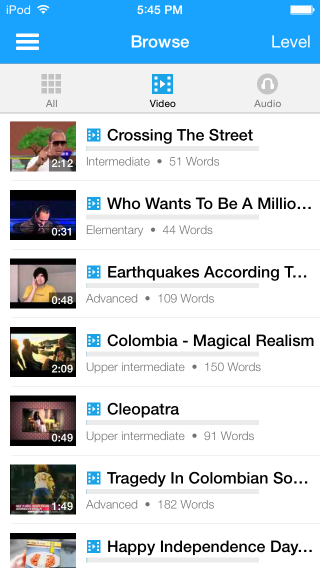 Having reference material is crucial if you want to learn Spanish grammar. The goal here is to give you insights on how to use Spanish grammar without subjecting yourself to repetitive memorization exercises. 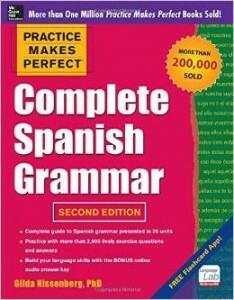 Therefore, get a well-written Spanish learning book or download a Spanish grammar cheat sheet from the internet (like this one) where the main grammar rules are clearly laid out. 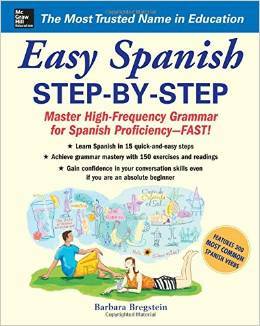 If you’re looking for a grammar workbook, I highly recommend any book from the “Practice Makes Perfect” series, such as “Practice Makes Perfect Complete Spanish Grammar.” And for complete beginners, the “Easy Spanish Step-By-Step” book is reputed to be pretty efficient. But don’t sit down and try to learn it all by heart (unless that’s your thing)! You will use this material as an occasional reference to help teach yourself targeted rules to address specific language situations you’re unsure about. 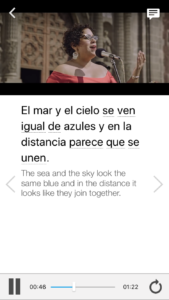 For example, say that you are reading a book or watching a movie with Spanish subtitles and you see a verb that seems familiar, but is conjugated in a tense that is unknown to you. Yes, you could just type it in Google translate to get its definition, but thanks to your Spanish grammar cheat sheet you can get clear information about the actual verb (whether it is a regular or irregular verb, for example) and the tense used (when to use it, example sentences, etc.). Another example: Say that you want to improve your Spanish by writing (which is an excellent way to do so, by the way). And like many Spanish students, you are having a hard time knowing when to use ser and estar (the two forms of the verb “to be” in Spanish). Again, you could use translation devices to just get the raw translation, but it’s a much smarter idea to take advantage of your Spanish grammar cheat sheet to understand the rules and reasoning behind the usage. Then, you’ll be able to use ser and estar correctly on your own instead of falling into the trap of relying on a translation website. Grammar can be pretty boring when you learn a new language, and it’s one of those things that you cannot afford to get wrong. Indeed, misunderstanding grammar when you learn a new language can cause you to misinterpret any form of communication (what you say, what you are being told, what you read and what you hear). Therefore make sure to have a solid grammar reference manual so you don’t get into trouble down the road. To use this effective technique, first you’ll need to find a Spanish copy of your favorite book. You can check out your local library or Amazon for either a physical or digital copy. Take 5-10 minutes a day to read one page of your new Spanish book. Get out your dictionary, Word Reference, Google Translate and/or your Spanish grammar reference book to help you understand as precisely as possible the meaning of each sentence you read. After that, in a notebook write down everything you learned as a result of your reading—knowledge that you want to remember. This is going to be your personal reference notebook. You will find out after a couple of pages that a lot of different words and tenses repeat pretty regularly. After a couple of weeks of doing this every day for no more than 5-10 minutes at a time, you’ll observe that Spanish grammar has found its way into your head through this fun exercise of daily repetition! This technique, again, uses the power of writing to learn a language. Set aside 5-10 minutes every day (in regularity lies progress!) and write a couple of paragraphs in English about something worth remembering that happened to you that day, whether it be funny or serious. Then, simply translate what you have just written into Spanish using your Spanish grammar cheat sheet and Word Reference. Always use your Spanish grammar book as an aide, since it will allow you to understand how and why to write a phrase in a certain way. Google Translate only gives you a simple translation, which is often incorrect when you get to full sentences and longer phrases. Why write in English first? If you only write about your day in Spanish, you’ll be less likely to explore new verbs, vocabulary and sentence structures. You’ll keep it simple and stick to what you already know. But if you write as you normally would in English and then translate, you force yourself to expand your grasp of the Spanish language, furthering your knowledge on all fronts. This exercise is great since you will most likely have different things to write about every day, and therefore have a variety of sentences to translate. You’ll stay interested because you’re translating things that you’ve written yourself, so you’ll learn vocabulary and grammar that is useful to you. This last technique consists of finding a language exchange buddy and spending time talking with him or her. I can assure you that you will learn more this way than by sitting in a classroom with a Spanish teacher lecturing at you. Once again, use Word Reference or whatever dictionary/translation app you prefer to help you with the words and phrases structure you don’t know how to express yet. 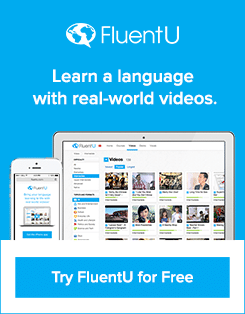 If you are doing this language exchange over Skype (go to conversationexchange.com to find people who are willing to do that), it’s even more convenient. For future reference, make sure to jot down (or copy and paste) every word and sentence (in English and in Spanish) that you search for during the course of your conversation. You can add these to your “personal reference notebook” that you started earlier, which ensures you’re reaping all the benefits of your language exchanges. In closing, it’s absolutely possible to get a strong understanding of Spanish grammar without having to spend an infinite amount of hours repeating the different rules. Not only this is not fun (which will probably not help you learn as quickly as you would like to) but you might end up focusing on accumulating grammar instead of actually using it in the real world. Therefore, choose the techniques from this post that resonate the most with you and use them regularly in order to learn Spanish grammar quickly and effectively. ¡Buena suerte!